On May 16, Microsoft announced that the exams that lead to accreditation as a Microsoft Certified Master (MCM) for Exchange 2010 will be available in centers worldwide. This development, similar to the announcement about MCM for SQL made in late 2010, interests me from multiple perspectives – as a commentator on all aspects of Exchange, as someone who informs others about the technology through seminars and writing, and as someone who was involved with Microsoft in the early days of Exchange accreditation. Some history is appropriate to set context. The training that Microsoft made available for the first generation of Exchange (4.0 to 5.5) was truly awful. It was very much of the “click, click, click, complete – and have a nice day” variety as it never attempted to bring the trainee much past the surface veneer of the product’s capabilities. The training was appropriate for people who wanted to run a 20-user server but that was about the limit of its usefulness. Given that a large part of the target base ran PC LAN-based systems such as cc:Mail and MS-Mail, the focus for training wasn’t altogether surprising. Things got even worse when Microsoft released Exchange 2000 in 1999. This was the first version to be “enterprise ready” and it had a much tighter connection to Windows 2000 with its dependency on the Active Directory. More stuff could go wrong and did go wrong but the available training from Microsoft remained weak in terms of the enterprise. This forced companies such as Compaq to build their own training to equip consultants with sufficient knowledge to take on the challenge of large-scale deployments. I was intimately involved in the project to deliver Windows 2000 and Exchange 2000 academies, which Compaq also made available to its customers. To their credit, the Exchange development group knew that things were not good. It was in their interest to increase the amount of knowledge in the field because this stopped customers and consultants doing silly things that could be avoided that later developed into support problems that were expensive to fix. Discussions began between Compaq and Microsoft as to how to improve matters. Microsoft planned to start the famous “Ranger” training program to build a team of very high quality troubleshooters who could work on the most complex of deployments. At that time, Compaq declined to become involved with Ranger. There were many reasons for this, including the fact that we had invested very heavily in training Compaq consultants and had developed a set of best practice and deployment aids that were unique in the industry. Compaq didn’t see that it was in our commercial interest to share this information with competitors such as Avanade, IBM, and Microsoft Consulting Services. Remember, this was in a time when there wasn’t such a massive amount of information available about technology on the Internet so consulting companies guarded their information jealously. Microsoft proceeded to roll out their Ranger training program from 2002 onwards as part of the preparation for the introduction of Exchange 2003 (code name “Titanium”). This program was tough and in-depth and required successful candidates to come to Redmond for a four-week immersion in Exchange before passing a series of written and practical exams. The cost of the course was an issue too, even for large companies, but it was manageable for those who chose to attend because they saw the value in becoming one of the few who attained Ranger status. The goal of the Exchange Ranger Program is to increase Exchange product knowledge in the field by bringing Exchange field and partner experts to Redmond for comprehensive Exchange training. The Ranger program is a multi-faceted initiative to help increase deployment success and customer satisfaction, while decreasing PSS support costs. Five rotations will go through the training prior to RTM. Final Qualification is a lab-based exam in which consultants will have to solve 11 common customer problems and one rare problem in 3-4 hours. Follow-through with weekly conference calls and visits toRedmondto track effectiveness and create a closed feedback loop. You’ll notice that time for eating is thankfully built into the schedule! Although the current training events might not be so onerous, all the evidence suggests that the same focus exists on presenting a mass of in-depth quality material that attendees have to assimilate during their stay before being tested to achieve accreditation. Some have compared the experience to the proverbial drinking from a fire hose, except that the drinking lasts a lot longer than normal. Attending an MCM rotation isn’t an easy decision to make. Apart from the hefty training fee charged by Microsoft (a significant barrier to entry for some unless their company agreed to pay) plus costs for travel, accommodation, and “lost opportunity” (billing hours), forcing people to come to a single worldwide location for an extended period is pretty disruptive on home life. On the flip side, it’s also disruptive for the Exchange group as they have to provide program managers and other subject matter experts to deliver the training. But even more important, it limits the number of people who can go through the training and hope to achieve accreditation. In short, there was no good way to scale up the accreditation program to deal with the likely demand as the number of Exchange deployments grew in the market. No one wants to weaken the worth of an accreditation by reducing standards. I think it was for this reason that Microsoft chose to keep the program focused around the product immersion in Redmond as it evolved into MCM. The move away from the original Ranger concept was part of the effort to more closely align the original initiative by the Exchange development group with the overall training architecture developed by Microsoft Learning. Like most education programs, the architecture had a broad base of people who passed exams in various technologies, the MCSEs, then those who possessed very focused and high-level accreditation in specific technologies (MCMs), with the top of the pyramid being those who successfully passed through the Microsoft Certified Architect (MCA) process. These developments have occurred since Microsoft introduced the MCA accreditation in 2005. However, MCM (Exchange), which I think switched over from Ranger sometime in 2008, continued to couple the in-depth training with the accreditation and the number of people who have achieved the accreditation remains small. I don’t have the exact numbers but I imagine that they are in the small hundreds, which isn’t a lot given the hundreds of millions of Exchange mailboxes in use daily. The big news is therefore that people who consider themselves experts in Exchange 2010 can now put themselves forward for examination at test centers around the world to see whether they can attain the status of MCM (Exchange). I think this is a good thing as it’s always positive when barriers are removed from progress. However, I wonder whether many will be successful at taking the MCM (Exchange) tests without having the benefit of the three-week immersion in Redmond. There’s a natural suspicion that the tests might be focused on the content taught in Redmond and might not therefore be as viable for those who have not been immersed. There’s also the fact that all of us have different strengths and our work tends to favour our strengths – being forced into subjects during three weeks of training can help close those gaps. For example, I tend not to do very much with Exchange 2010 Unified Messaging (UM) because I don’t have a background in telephony and the subject has never interested me all that much. On the other hand, folks such as Paul Robichaux (who teaches potential MCMs on UM), live and breathe this stuff. I know I couldn’t pass an exam on Exchange 2010 UM without investing time and effort to swot up on the material, so I’ll probably never be an MCM. Is an MCM-qualified individual an advantage to a project? Probably – as long as they gel with the other members of the project team and don’t attempt to force their “MCM view of the world” down other peoples’ throats. Remember that the value of a consultant is limited to 50% of the overall project; the other 50% comes from people who know the company, are closer to the business objectives, and understand how office politics work. Is holding MCM accreditation a positive step in someone’s career? Again the answer is probably. In this case, it depends whether the accreditation is considered as a stepping stone to future development rather than the zenith of technical achievement. Technology has a nasty habit of evolving and it evolves faster now than at any time in history. The other trend to keep in mind is that best practice is only “best” at the time when it is formed; practice develops and mutates over time as experience with technology is gained, so a statement that everything is done according to “best practice” deserves investigation to determine what the best practice is based upon. Overall, I recommend the MCM (Exchange) program to both companies and individuals as a source of well-founded knowledge and as a good thing for personal development. We’ll have to see how successful people are in their attempts to attain the accreditation without traveling to Redmond – time will tell! This entry was posted in Exchange 2010, Training and tagged MCM, Microsoft Certified Master. Bookmark the permalink. I can clarify one point regarding the exams. The exams are based on the MCM Exchange objective domain, which was developed by MCMs, MCAs, and other subject matter experts at Microsoft. The training is derived from that same objective domain, so there is a correlation; however, the exams do not include topics that are not publically available. The exams do go to an uncommon level of complexity though…we expect the successful MCM candidate to know each component of the product through and through. I agree that certification will be difficult for individuals that have not had immersion based training across the entire objective domain. The way I see it, decoupling the exams is the first step toward enabling other training modalities. We now have a set of examinations that is a fair, valid, and an accurate tool to separate those who have the knowledge and skills to certify as a master from those who don’t regardless of how they obtained the knowledge and skills. We’re continuing the training in Redmond because it works and is a great experience. I went through in 2006 and it made a huge impact on my career. For many, obtaining the knowledge and skills required for certification directly from Microsoft’s top subject matter experts in Redmond is likely the most efficient way to certify. There are also many intangible benefits with the direct training, including developing professional relationships with the instructors and product group folks. I’m interested in obtaining feedback on what additional training modalities MCM candidates would like to see. Some have told me that MCM lab workbooks would be useful. Others have asked for a combination of self-paced materials with modular direct training. I wanted to comment on few things. Being an MCM myself and having lived through experience of training in Redmond, I would say it’s not even the material that is covered in training but discussions around real world scenarios (actual situations attendees have lived through) and best potential solutions that come out of the discussion make the training most valuable. As you said, it’s really the weaknesses that everyone will have in one area or the other that one will have opportunity to catch up on. Making the exam available to masses only means that those who know each and every area of skills assessed will be successful while being able to avoid going to training in Redmond. This allows for potential cost savings but also means one will be missing out on opportunity to learn a wealth of information that is shared. If passing exams is the only objective than it wouldn’t matter to the candidate. The other great point you mentioned is relevance. Best practices change as new updates come along, as environment changes and as new information comes to light. For anyone MCM or not to be effective in their field, they have to keep up with trends, new developments and learn from it. There is no way an MCM will stay relevant by shoving their view of best solution down the throat of any customer. Having a privilege of being in that inner ring of MCMs, I can tell there aren’t many I know who act in such a childinsh manner. I am eager to learn what the changes to MCM certification for Exchange 2010 means and what it will do to the value of certification. I certainly hope it will be held in high regard as it is today. I wanted to add to the comments on decoupling the training from the exams, as I’ve attempted this. I am one of the MCM Exchange instructors, and I’m not (and have never been) a Microsoft employee. I am just an Exchange consultant and advanced level instructor (and MCT). Passing the Hub Transport exams was easy, as that’s what I teach for MCM. But the rest (CAS, database, HA, disk performance, UM, RBAC, virtualization and more, I attempted to do via self study. I never sat in on the three week training though I did stay around Redmond after teaching my part in the MCM upgrade training classes so I could listen to the other upgrade sessions. That revealed to me the depth of knowledge that one needs to qualify as an MCM and after many months of self study I completed each exam (though from July it will be a single exam) and then sat through the lab qualification exam. Failed the week 2 exam first time around by 10%, but came back a few months later having covered the gap in my knowledge that led to me failing and passed. For the third week exam I installed my own UM enviroment and worked through loads of scenarios, as I’m not a telephony guy either. But the self study paid off, but though I did not spend cash on attending the class I easily spent more time in study (mainly evenings after work) than I would have done if I had taken three weeks out of my schedule. So I’m the only (or one of very few) who have done the exam and qualification lab without attending the training, though by teaching it I know what I’ve missed out on. The professional relationships I see formed in the class and later via the email discussion group is like nothing else I’ve seen. 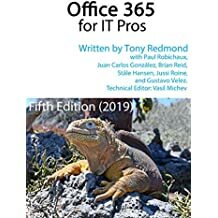 Add to that the upgrade training and the special events put on for masters such as the upcoming Office 365 Level 300/400 training and I too would highly recommend the course as the route to the exams. Very much inspiring – this added courage & confidence to my Goal(MCM Exchange) & Thanks everyone above…!